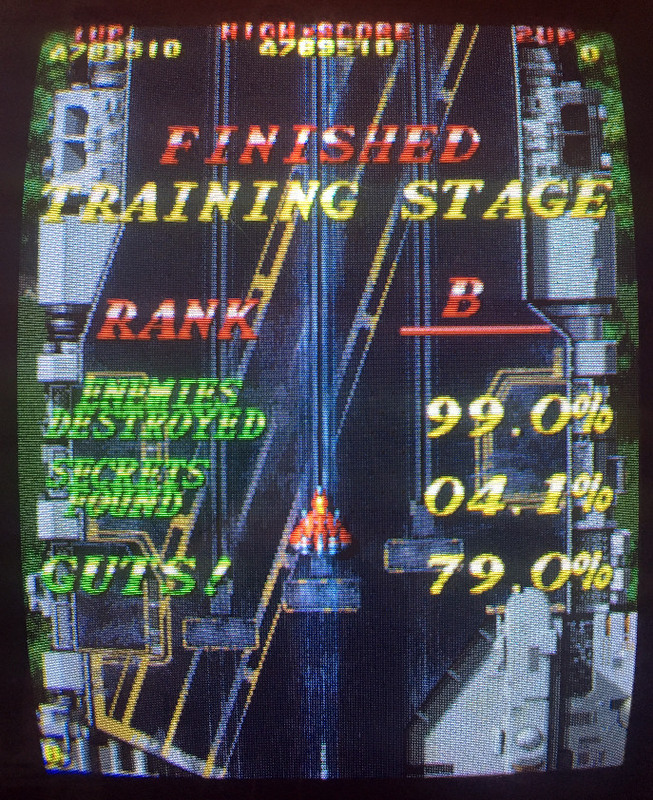 Managed to finally 1cc training stage with my PCB, also beat my old score. This was HARD. Can't believe you're still going. Great score! Last edited by KoopaTGR on Sat Aug 20, 2016 11:38 am, edited 1 time in total. 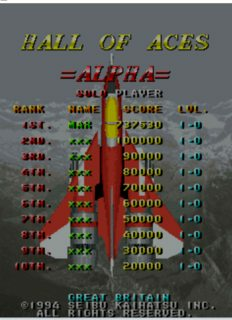 Don't think this has been asked yet, but what speed should the PSX version be set to? 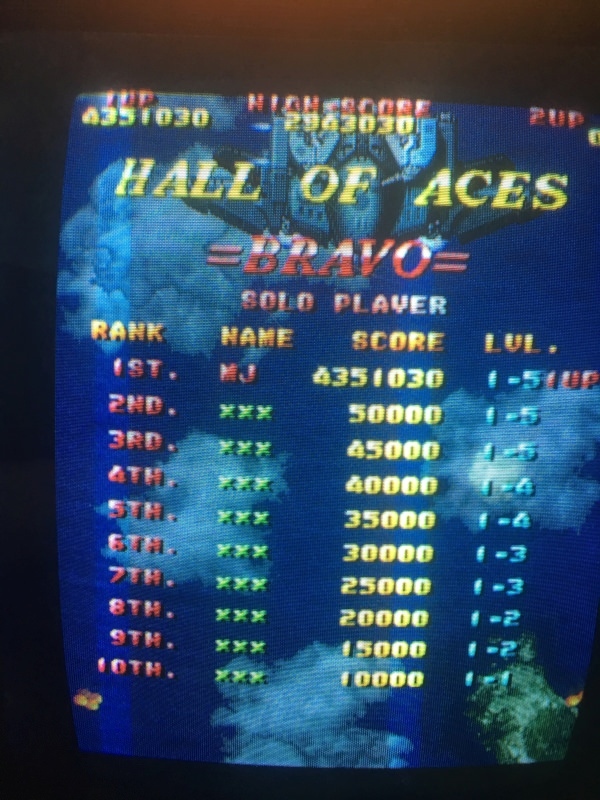 Default or the somewhat jerky arcade speed? 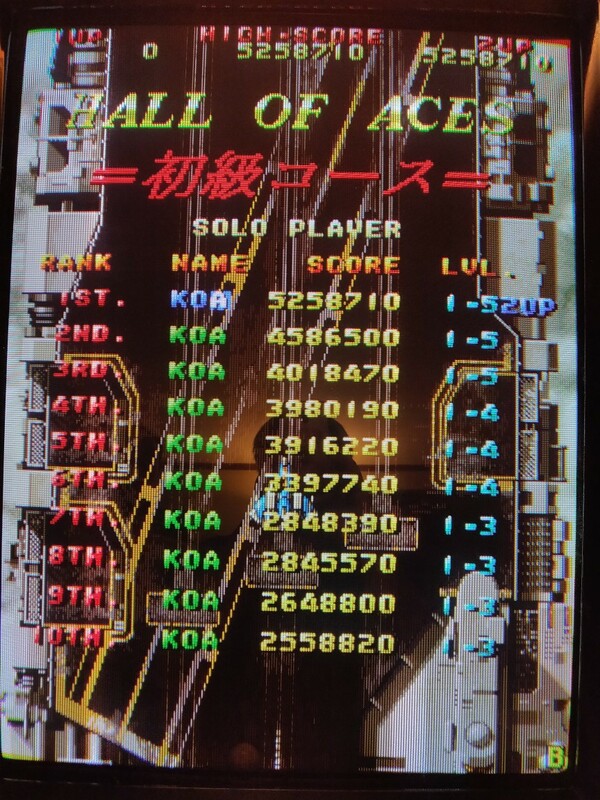 This is like Raiden 2 with more difficulty options for us mortals , i will go for a Novice clear now. Impressive going. 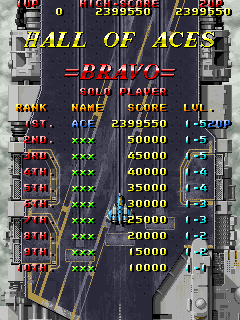 Can't remember what my 4th loop score was when I last played, but I was chasing a Japanese high score of 21million. I seem to remember you had 18mil Mills. 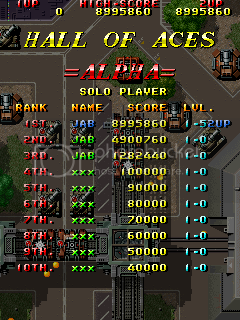 Pretty bad score for a clear but I was just going for survival. 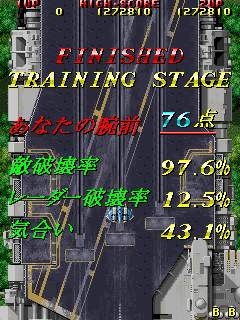 Heading back to Raiden II now. 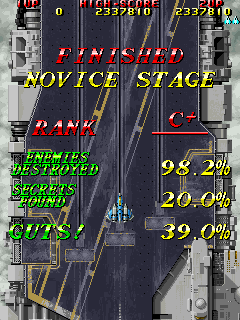 After a solid week of practice, I got the Novice clear! I noticed to my horror that I had the dip switch settings on my PCB as 'hard' ever since I bought it! How this had happened, I don't even..
My first attempt on Bravo mission with PCB board. Almost got it, screwed it up by changing into wrong weapon just in the end. 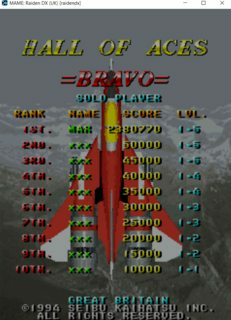 New PB after 11 years of inactivity? ?